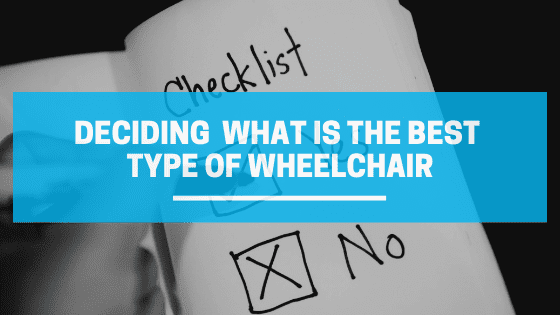 Deciding what the best type of wheelchair is will have you finding that there is no one clear answer to this question. The best type of wheelchair is whatever best fits the user’s needs while making them feel comfortable and confident. There are many different types of wheelchair categories. Each has different models suited for unique uses. For example, some have fixed components which makes it more suitable for those used to non-moveable parts. The most common type of wheelchair is the manual wheelchair. It has large rear wheels because it is self-propelled by the user. Within the manual wheelchair category, there are many variations within this style that each serves a different purpose for various environments. Because this is the most common wheelchair, many will say that this is the best type of wheelchair. The reasoning behind this may be that manual wheelchairs allow for independence, are economically sound, and require little maintenance. Manual wheelchairs are self-propelled which can give the user a strong feeling of independence. They do not have to rely on anyone and can proudly say that they were able to go about their day without any assistance. In terms of financing, they are much less expensive as say an electric wheelchair. They are often given away or donated by many programs and charities. Lastly, they don’t require too much maintenance besides the occasional wheel repair or chair cleaning. To name a few, we have the transport wheelchair meant to be propelled by a companion rather than the user themselves. 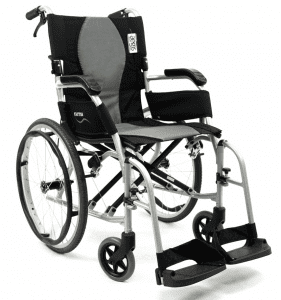 This type of chair will have noticeably smaller rear wheels in comparison to the standard manual wheelchair. 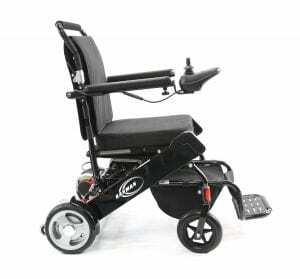 Next, there is the lightweight manual wheelchair that does still have the large rear wheel, but it is much lighter making it easier to transport. Then, of course, there are heavy duty manual wheelchairs, sports wheelchairs, and pediatric wheelchairs. Another category of wheelchairs is powered or electric wheelchairs. Some feel that these are the best type of wheelchairs because they are fully automated from the way they are propelled with a motor to the way the seating can be adjusted. While most electric wheelchairs appear to similar, they too have unique individual features that will benefit different people and their needs. For example, some may have the ability to maneuver their way across different terrains without risking damage to the wheels or the motor. 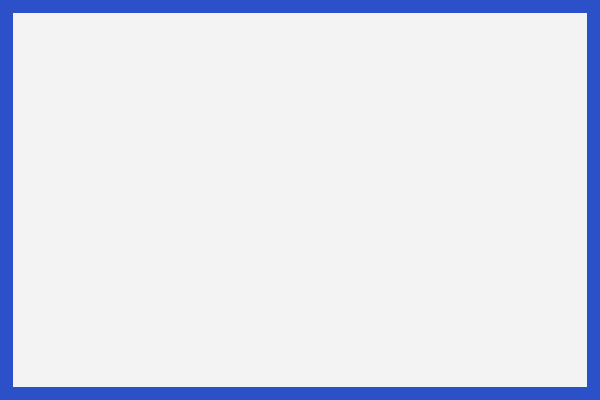 To answer what is the best wheelchair type is subjective. To get an idea of what may be the best for you, search through Karman Healthcare’s site and try to see what chair may be best suited for you or your loved one. This entry was posted in Lightweight Wheelchairs, Retails, Wheelchair, Wheelchair News. Bookmark the permalink. What Happens when you Remove the Freewheel from a Wheelchair?